Fennel frond pesto, you say? Delicious, you say? But…. Dun. Dun. Dun. It’s green. My kids aren’t going near it! Ok. I get it. Fussy eaters are notorious for not eating their greens. There are a few reasons behind our nutrient packed green vegie friends getting shunned by our little angels at dinner time. 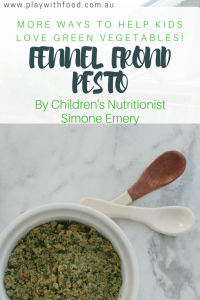 Today, let’s talk all things green, why kids are fussy about green fruits and vegetables ….and make a fennel frond pesto while we are at it! I gave away a sneaky peak to this recipe over on Instagram when I made it. Are you following me on Instagram yet? Why are Green Vegies So Hard for Kids? 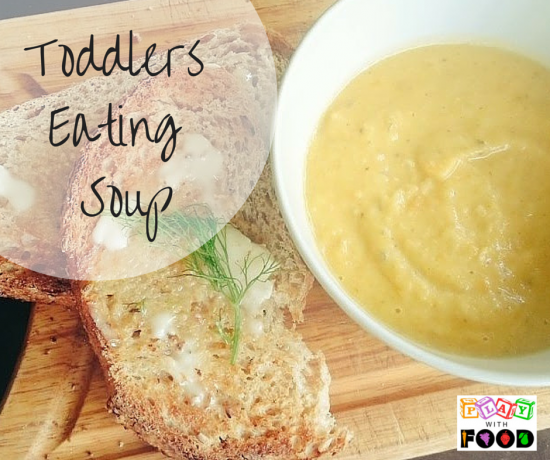 There are a few main reasons that kids don’t necessarily enjoy our green vegetable friends. Commonly, it can be brought on from a few things. Food Neophobia – A general cautiousness to foods that coincides with developing understanding of the world around them – possibly at about 18 – 24 months (Check out Jo’s article on understanding neophobia here). 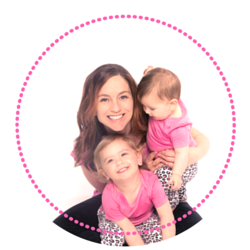 And get a handbook, video and deeper understanding into Toddler fussy behaviours with actionable ideas to help here. Sensory properties of green vegetables are not only limited to their “non-beige” colour, but also that they can be a variety of textures, smells and also change constantly. For example, broccoli steamed smells, looks and tastes very different to broccoli in a quiche, broccoli raw and in a broccoli soup. 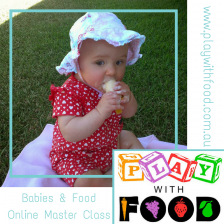 Read more about sensory processing and how vegetables make it difficult for kids here. 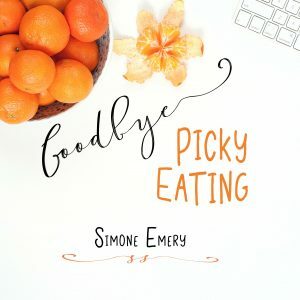 The chewing of green foods is often more complex than a simple bite, chew once and swallow. 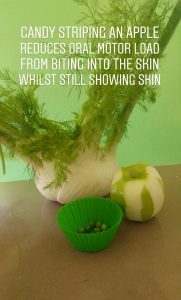 Take a green apple for example, that skin is TOUGH! 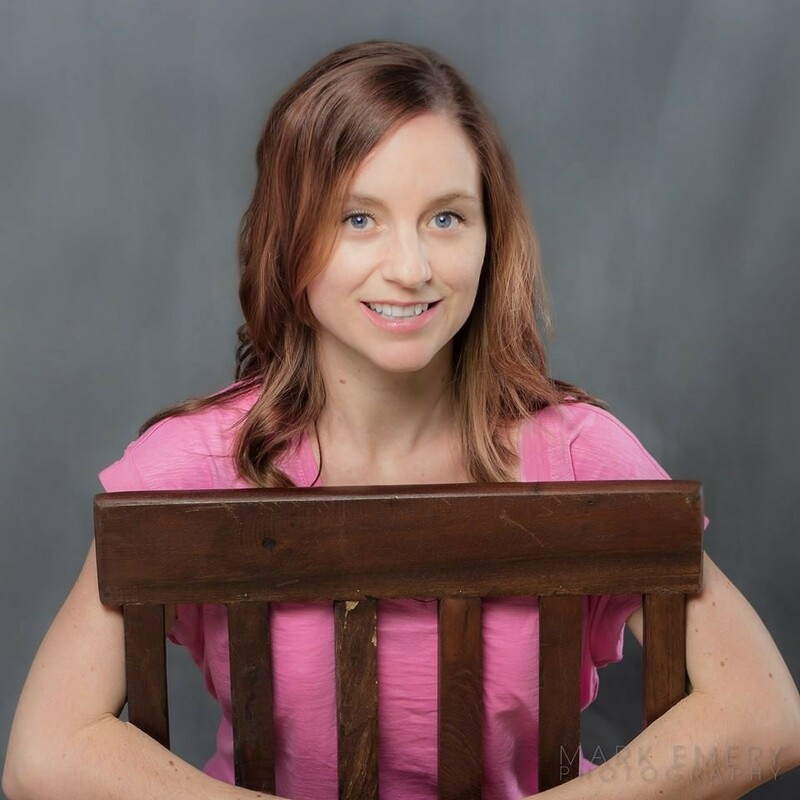 It requires ABDOMINAL muscles to be “turned on” to bite into it and pull away a chunk, let alone the oral motor dexterity to manouver the bite size within the mouth over to the big molars (known at lateralisation). This is IF the bite size was appropriate to start with and wasn’t so big, the task became near impossible or so small that the bite was too ineffective (meaning some kids will spit it out as a precaution). Then once the molars start their “dinosaur chews” this can result yet again in what a child may deem as too much work. Or for children that haven’t worked on training their gag reflex or struggle with spitting, they may not be confident to go anywhere near this far. 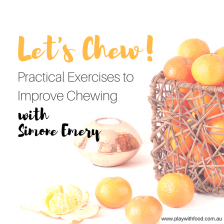 (If you are want to get more familiar with oral motor skills, I recommend talking to a speech pathologist OR invest in my “Let’s Chew” video and handbook to try some exercises at home – your support helps this blog so much! )BTW this is my top tip for making easier work of a green apple but also working on moving towards eating a full apple …. Peel it in a candy stripe pattern! As with everything in feeding, it’s like the good ol’ fashioned ice-berg model – what you see on top is only a glimpse of what lies beneath. 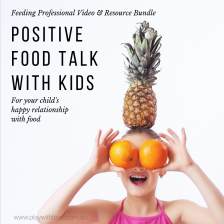 So, there are many more facets to why green fruits and vegies are shunned by kids, but these are 4 good ones to get you thinking about it. The great thing about this pesto is how versatile it is and I have a cunning plan to get the kids interacting with fennel long before we plate it up at dinner. 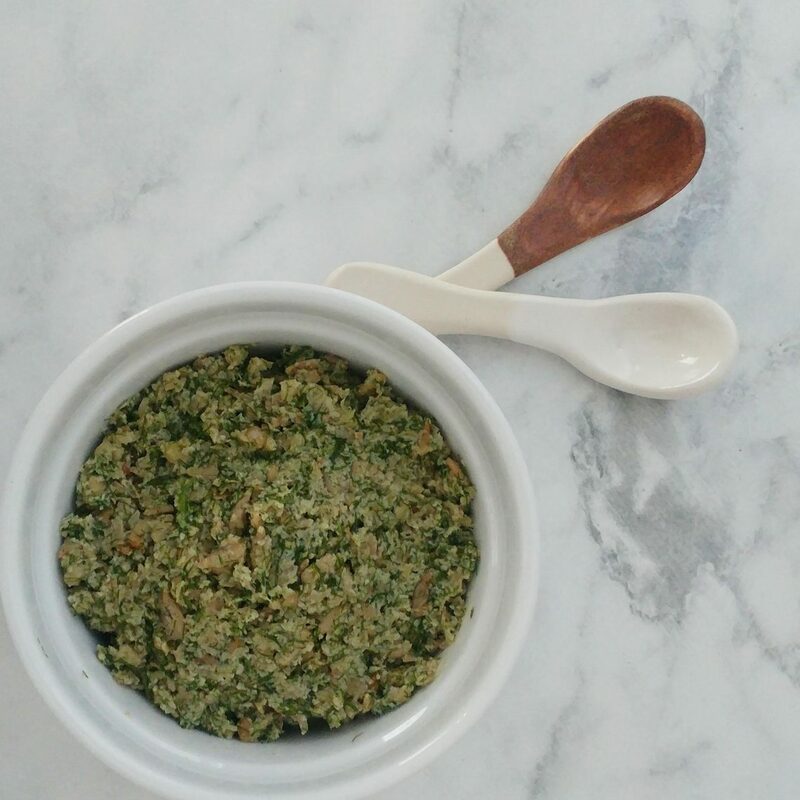 It is also a dairy free and nut free pesto – making it great to add to a wide variety of social occasions. What is the plan? 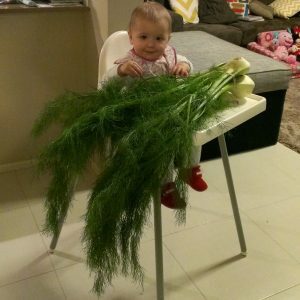 Let the kids loose on giving the fennel a haircut away from the mealtime. I have to admit to not making many pesto recipes in the past and when I did, I tended to go with parmesan and tree nut versions. So, for our allergy aware friends, this is much better suited to your needs. Sometimes we get some pretty amazing fennel in our house! Here is a pic from June 2013 with my now 6 yo. She was a born fennel hairdresser! Fennel bulbs work amazingly well raw in an orange and carrot salad, roasted with potatoes or in a soup, like my fennel, roast carrot and apple soup. All winter meal ideas for your family meal options. This pesto is great with some roasted cauliflower nuggets. And I am keen to try it with these seedy wholemeal crackers by Bernadette from Goodie Goodie Lunchbox. And it’s lunchbox friendly due to it’s allergen free status! And I can imagine they may team with these yoghurt dough scrolls from Kidgredients too. Nutritious, Vibrant and Versatile - try this baked on chicken, stirred through pasta, as a dip with roasted vegetables, a yoghurt dough scroll filling or on it's own with some seedy crackers. ½ cup sunflower seeds, lightly toasted in a non-stick pan for 2 -3 minutes until they start to show some colour. Blitz all of the ingredients together in a blender for 5 - 6 minutes, scraping down the sides regularly. The time and consistency will depend on the power of your food processor. Using the pulse setting may help you. Would you try this? 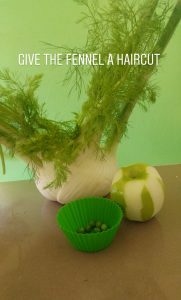 How fun is it to embrace mess and laugh along with the kids as they give the fennel a haircut!